Less than a month to go before publication, and I now have a book trailer to share that should give you a very small taste of the book and why I wrote it. Back story on the video: I worked with a pair of video-savvy teens, both students at Lexington High School. Andrew Little, a rising junior, took the lead and was the video editor. Spencer Hobbs, a rising senior, acted as director during the filming. Many, many thanks also to Alyssa Hassan of Beacon Press for reviewing the video and making suggestions. Events and more events: The list is growing. I’ll give the rundown. I hope to see some of my newsletter readers at the events. Do introduce yourself (if I don’t know you already) if you come to any of them. 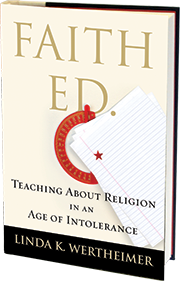 August 18: The launch of Faith Ed, Teaching About Religion In An Age of Intolerance, 7 p.m., at Porter Square Books in Cambridge. August 25: Reading as part of author summer series at Tewksbury Public Library. 7 p.m.
September 10: Reading, followed by Q-and-A with author Katherine Stewart, Newtonville Books, Newton, MA. 7 p.m.
September 17: Reading, followed by panel discussion with interfaith clergy, at Lexington Community Center, Marrett Road, Lexington. Sponsored by Cary Library of Lexington. 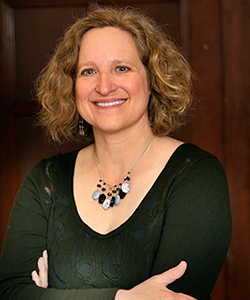 7 p.m. to 9 p.m.
September 27: Reading, Book Ends in Winchester, Winchester, MA, 2 p.m.
November 4: Talk at Merrimack College as part of Community Engagement Speaker Series. Andover, MA. 4:30 p.m. to 6 p.m., Cascia Hall. November 10: Lecture, with Q&A, Boston College, co-sponsored by School of Education and the Boisi Center for Religion & Public Life. At the Lynch School of Education, Boston College, Chestnut Hill. 5:30 p.m. I spent about a week in Modesto, California, reporting on the school system’s required religions course for all high school graduates. 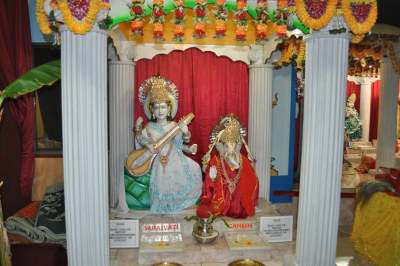 I continued my habit of visiting various houses of worship around the country and this time, saw a Mandir, a Hindu temple. The Hindu priest graciously gave me a tour and explained the significance of each God on display. He also described how the temple had been vandalized in the past because it was mistaken for a Muslim house of worship. Tagged Beacon Press, book, Education, Faith Ed, Hinduism, Linda K. Wertheimer, literature, public schools, religion and education, world religions. Bookmark the permalink.